When most of us hear or talk about monthly subscription boxes, we all automatically think or beauty or skincare products right?! What if I told you, you could get a monthly subscription box that contained just perfumes and them being designer perfumes aswell! Secret Scent Box is a monthly UK fragrance box subscription that lets you discover new designer and branded perfumes or colognes. 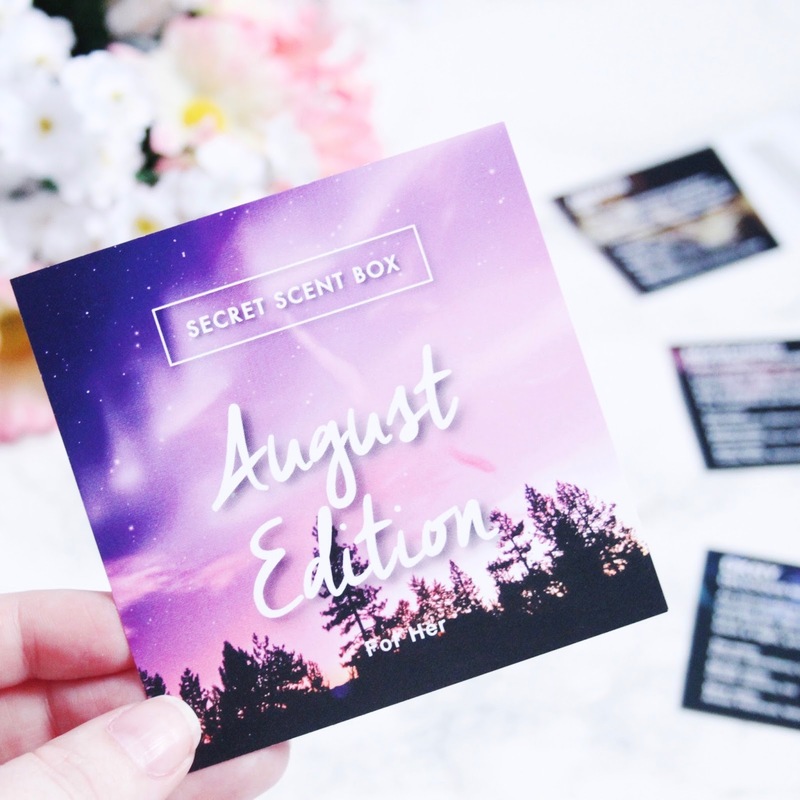 I was kindly sent the August edition of the Secret Scent Box to review and they were also kind enough to give me a discount code to offer to the readers of my blogs, but more on that near the end of this blog post. In the box I received, I got sent 3 different perfume samples which were: Armani She, Moschino Pink Fresh Couture and lastly DKNY Delicious Night. As soon as I opened the little black box that the samples are packaged in, I instantly got a lovely smell of different scents which smelled amazing! Although I do love all 3 perfumes and will defintley be using all of them, my favourite one out of the 3 is the Armani She, the smell of it is just amazing and it's even making me want to go out and purchase the full version of it haha! Do let me know if you take advantage of this offer and also what you think of this subscription box!